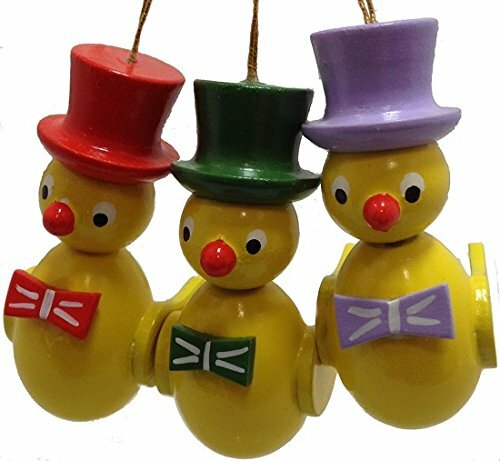 Top Hat Chicken Ornaments. Set of three. Handcrafted in the Erzgebirge region of Germany. Made from wood. Approximately 2 inches tall (5 cm). Includes original manufacturers box and packaging. Imported by Pinnacle Peak Trading Company. Handcrafted in Germany. Ships From Our USA Warehouse.